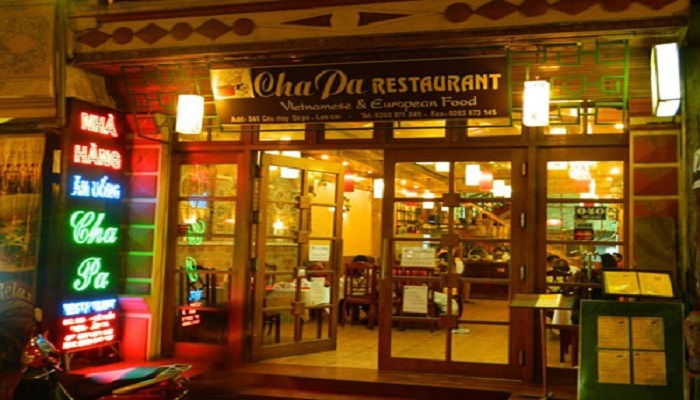 People who have ever come to Sapa, they advise you to come to Chapa Restaurant once for your enjoying meals. There are some reason that you should come to this place such as location, fresh food and nice services. The first thing related to restaurant that people concern is food. Of course you can find in Chapa Restaurant the fresh food cooked in local style that please you. Many tourists are impressed by the fresh food here. Almost dishes here are delicious but the typical dishes you can taste such as rice bamboo, grilled sturgeon, salmon hot pot, bamboo shoots salad and meat wild pig grilled by cast iron pan. These dishes make people who to remember about Chapa Restaurant all the time. Beside the tasty food, the price for meals is not so expensive. So this is also the thing make people to be pleased. If you are fastidious person in decoration both of space and dishes, you may not find your contentment here in Chapa Restaurant because it is simple in its style. Chapa Restaurant has its advantage of location but it does not enthrall people by the flashy looks or serious elegance. It has its simple space but warm enough to make you feel to be comfortable when enjoy the meals. Service is the topic that be discussed about when people talk to Chapa Restaurant not by negative direction but positive. Chapa Restaurant has its plus point in service from its customers by the courtesy, enthusiasm and professional service. The staff are fast to receive your order, care you on your table and always make sure that there are enough dishes that be ordered on your table fast as possible. Is it true that Chapa Restaurant is the worthy place for your meals or not? For 3 reasons about it above, this is easy for you to have an answer and without so much doubt to choose a good restaurant to come in if you have your time in Sapa Town.